Which Is Better: a Single- or a Two-Stage Furnace? What Should the Temperature Difference Be From Indoor to Outdoor? Should You Keep the Fan Blower in Your Furnace on Constantly? Whether you are installing a furnace for the first time in a new home, or replacing an existing one, getting the right size is important. It might seem like it's a wise choice to err on the side of too big, but that is an expensive mistake to make. Getting the best value while maintaining a comfortable room temperature means knowing exactly how much furnace you need for the space in your house. It's easy to ignore the furnace until it breaks down. The obvious danger to having a furnace that's too small for the space in your home is that it will fail on cold days to heat up the rooms to a comfortable level. Having a furnace that's too small could add up to even bigger problems than a little chill in the air. If the rooms don't heat up enough on extremely cold days when the temperatures are below freezing for an extended period of time, you could end up with frozen pipes that won't turn on and could even burst. A furnace that's too large for you home will result in enormous bills that are unnecessary, even if you keep the thermostat set at a low degree. A bigger furnace takes more power to run, but it isn't even the amount of energy used to power the unit while it's running that matters. A bigger furnace will heat up rooms too quick. What happens is the furnace heats up fast and then shuts off, and the rooms cool down and then it starts up again. 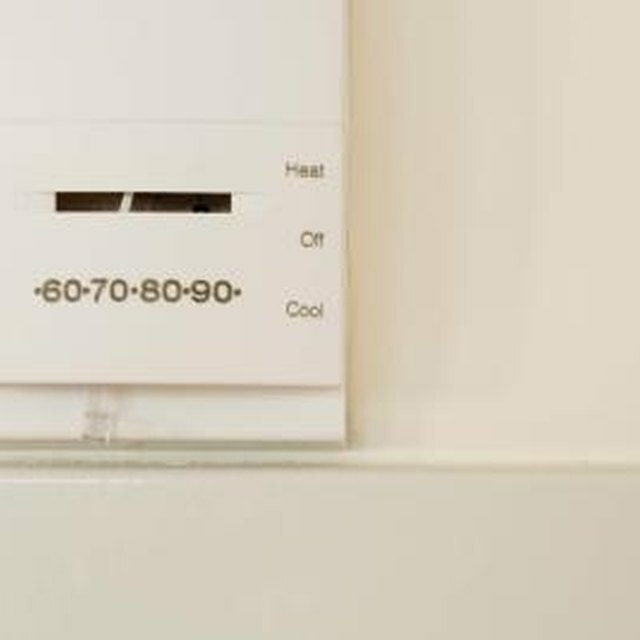 The heat up/cool down period is faster than a smaller unit, so the furnace is constantly turning on and off rather than holding a steady pattern of heating that prolongs the room's temperature. Because it takes more energy to start up the furnace and then cool it down, it's actually more energy efficient if your furnace runs longer during the coldest months. British thermal units is the most commonly associated number for heating and cooling appliances. Btu doesn't have anything to do with the power of the unit, but rather the degree of heat the generator is capable of. When deciding on a replacement furnace, see what the old furnace Btu is, and then take into consideration the condition of your home such as if the windows are drafty, whether the old unit worked efficiently, and if you have other energy saving installations that are new to your home such as better insulation. If you're installing a new unit in a new house or don't want to use the same size as you previous unit, you can find BTU calculators online that will help you make a decision. Another important number you have to consider is one that many people are unaware of, and that's the Annual Fuel Utilization Efficiency percentage. This is a measure of the heat output of the furnace and is the leading factor in its efficiency. Look for a unit with at least an 80 percent AFUE percentage, or you can simply find one with an Energy Star Rating, which is an indication of the furnace's efficiency. The higher the rating, the more money you will save during the course of a heating year. Is it Cheaper to Run Window Units Vs. Central Air? How Big Should My Air Conditioner Be? What is the Size of an Air-Conditioner for a 1400 Sq Ft Home? What Is the Most Efficient Way to Run Your Central Air?